MCDonald’s Boombox : Cup holder that becomes a speaker! 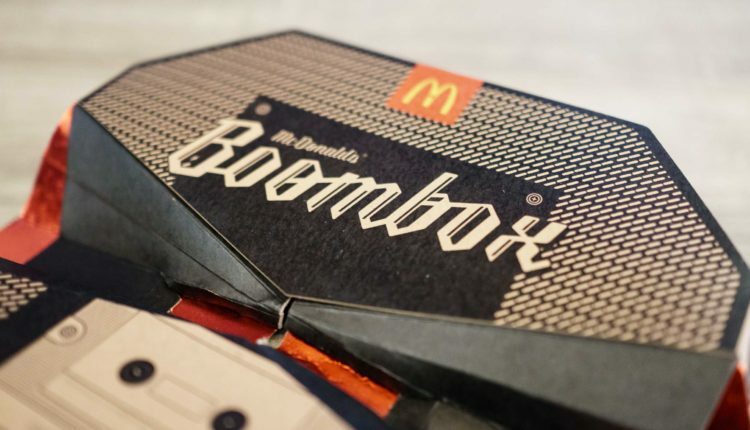 McDonald’s Boombox is something really exciting. 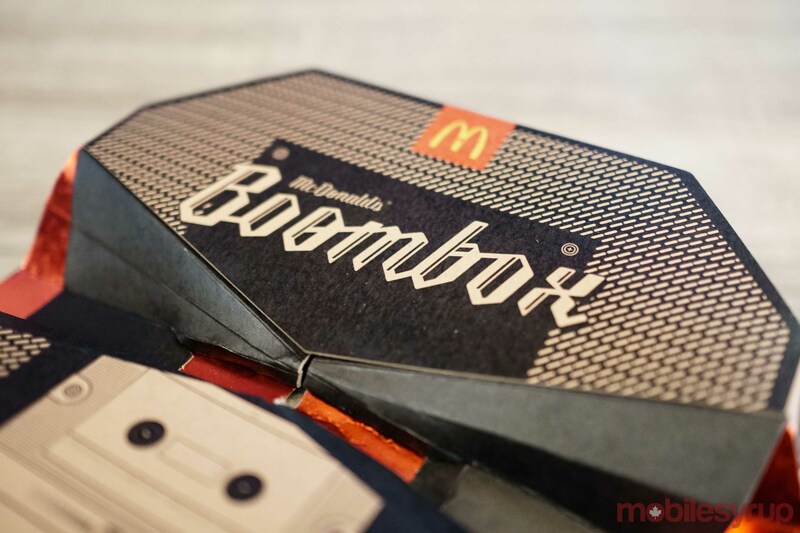 McDonald’s Boombox Is a Cup holder that could be turned into a speaker.McDonald’s created this tantalizing product as a token of celebration `of 22 years of McD’s desert MCFlurry which was invented in Canada. 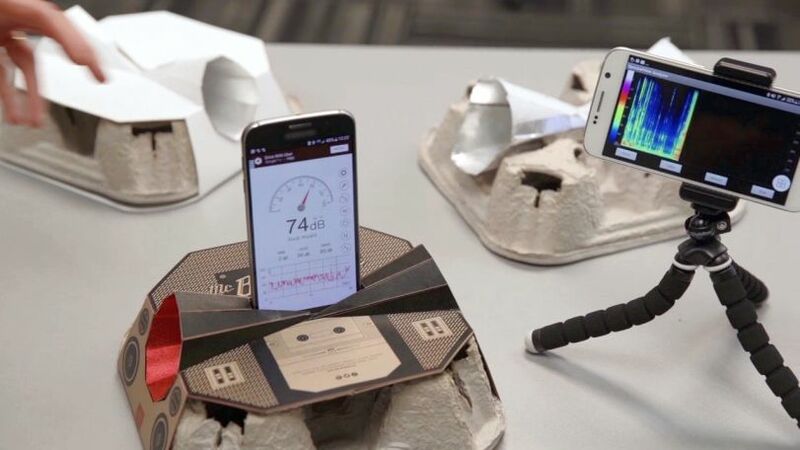 The invention is the result of a partnership between the fast food restaurant, the University of Waterloo’s Audio Research Group, and Stacklab who set out to find a way to recycle a cup holder into speakers. While you might think speakers made out of cardboard would be, for lack of a better word, trash, these snazzy speakers, which look like sleeves that fit around the traditional cup holders, promise to amplify the music coming out of a smartphone by as much as 101 percent. It works because of its unique 10-sided cone design, which helps to reflect the sound emitted from your smartphone speakers. If all this talk has been getting you excited for a Big Mac with amplified sounds, be warned that they will only be distributed from 2 p.m. – 7 p.m. ET at one McDonald’s location on July 28. But who knows! 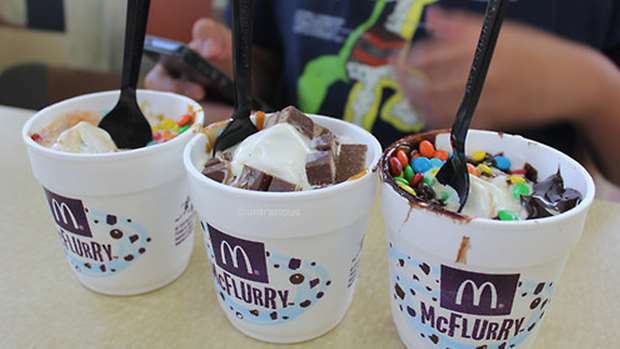 Maybe if we all @ McDonald’s on all forms of social media and whine enough, they might bring this invention to other restaurant locations in the future. Until then, though, you’ll just have to keep using a cup, or, you know, actually buy some speakers.